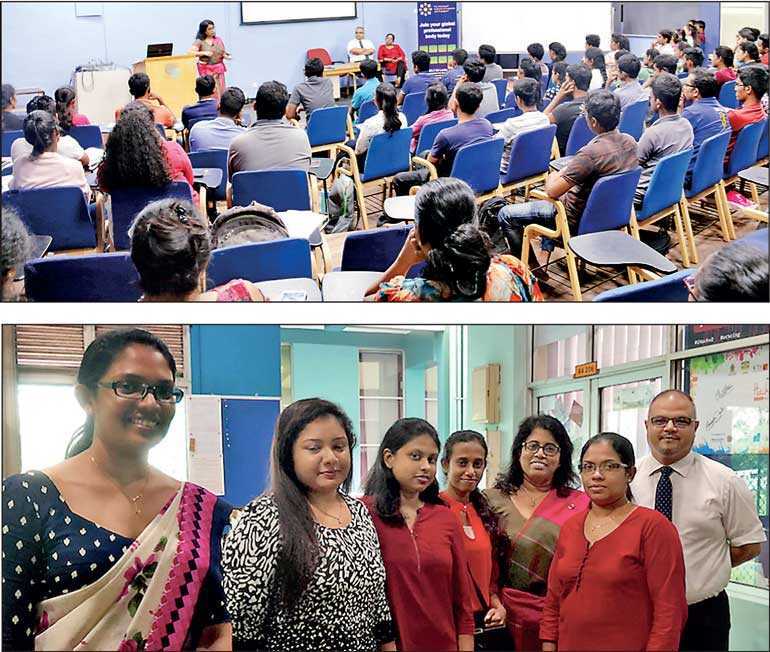 The Chartered Institute of Logistics and Transport (CILT) Sri Lanka held its fourth road membership drive for the year at the Department of Industrial Management of University of Kelaniya. CILT Sri Lanka Chairperson Gayani de Alwis, CMILT, Vice Chairman – Membership Development Channaka De Alwis, CMILT and WiLAT Sri Lanka Executive Committee member Dr. Renuka Herath, CMILT attended the event along with the CILT Sri Lanka Secretariat staff. The membership drive was organised at the request of the Head of the Department Dr. Ruwan Wickramarachchi with the support of Lecturer Kasuni Vidanagamachchi. Vidanagamachchi in her welcome address gave an overview of the various specialisations that the Industrial Management Department of University of Kelaniya is offering and thanked the CILT team for their presence and commitment to promote professionalism in the industry. The Head of the Department showed his interest to obtain the CILT accreditation for the Industrial Management Degree program and requested close cooperation with the department for the benefit of the students. The CILT Sri Lanka Chairperson in her welcome address mentioned that CILT is the only Chartered professional body in the country for professionals engaged in transport, logistics and supply chain and its main aim is to promote continuous professional education in the sector to uplift the professionalism and create value to the economy. She further emphasised CILT’s role is for both passenger and goods transport in all modes of transport; land transport, maritime and aviation. The Vice Chairman – Membership Development shared the challenges in the logistics and transport work environment and how undergraduates should develop skills and competencies to face the world work. He shared how the career journey in the transport and logistics sector with added CILT professional qualifications and networking opportunities can help to grow in their careers. The Chartered Institute of Logistics and Transport (CILT) is a leading global professional body associated with the logistics, transport and supply chain industry. The institute holds unparalleled international recognition and works towards achieving its objectives of promoting and encouraging the art and science of logistics and transport through its membership and its educational qualifications. With a global membership of over 34,000 in 35 countries across the globe, CILT provides a professional identity to those in the ever expanding logistics and transport sector. It is a strong, active and a unified professional association that is able to speak with authority on strategic issues affecting businesses and people in the industry and support their careers.